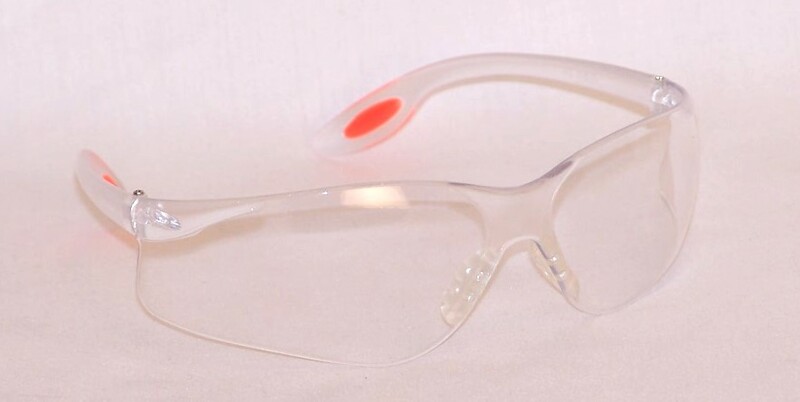 Premium safety glasses with clear temples and clear lenses. Soft nosepiece and soft PVC inserts on temple tips for extended wearing comfort. Polycarbonate temple in a sleek design. Hugs contour of face for maximum protection. Light and comfortable fit. Frame-less. Sporty and stylish with wraparound lenses for maximum visibility. 5.5" width from temple hinge to temple hinge. Hard coated, scratch resistant lenses. Meets ANSI Z87+ safety standards. Case of 144 pairs (12 dozen pairs). Calculate out the outstanding price per pair!